Veralrud & Fowler, Attorneys, is a professional legal partnership headed by Attorneys Gregory E. Veralrud and Lindsay H. Fowler. Mr. Veralrud concentrates his practice in the area of personal injury and criminal defense. He also has expertise in civil litigation involving business, real estate and probate fraud. Ms. Fowler concentrates her practice in the areas of criminal defense and divorce / family law. Veralrud & Associates seeks to deliver competitively-priced legal services by making use of its paralegals, research clerks and out-sourced research facilities. Legal services become more expensive with every passing year. We strive to deliver services to our clients using non-lawyer services whenever practical so that the attorney's services (and the correspondingly higher costs) are used when essential to providing a high level of service to the client. As leading criminal defense lawyers in the state of Oregon, we're prepared to help those who have been charged with a crime. Mr. Veralrud received his law degree from the University of Oregon in 1978. The law firm, in its present form, is the successor firm to one of Western Oregon's finest, most established law firms. The firm was started in 1965 by former Lane County District Attorney William F. Frye. Since Mr. Frye's death in 1988, Mr. Veralrud has headed the firm. The law firm provides expert and highly personalized legal services in personal injury and criminal defense, as well as business and real estate fraud-related civil work. The firm also maintains a healthy probate practice involving basic wills and probate. More extensive estate planning is referred out to very competent local law firms. Mr. Veralrud became a partner in the firm in 1981, following his service as a Felony Deputy with the Lane County District Attorney's Office from 1978 to 1981. He is a member of the Oregon State Bar and is admitted to practice in all State and Federal Courts of Oregon, the Ninth Circuit Court of Appeals and the United States Supreme Court. Mr. Veralrud has served as president of the Oregon Criminal Defense Lawyers Association (1984-1986); as a Trial Practice Instructor for the University Oregon Law School (1984, 86, 88, 90, 92, 94, 99); as Chair of the Lane County Bar Association, Judicial Administration Committee (1995-1996) and the District Court Committee (1989); as Chair of the Board of Directors, Public Defender Services of Lane County (1995-1999), and as a Member of the House of Delegates, Oregon State Bar (1996-1998). 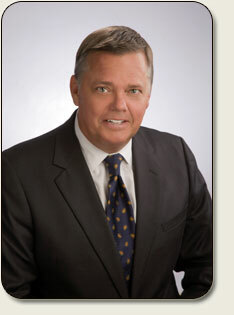 He is a Member of the Oregon Trial Lawyers Association and the Oregon Criminal Defense Lawyers Association. He has been "A" rated through the Martindale-Hubbell Law Directory, the most respected attorney referral and information directory in the United States. This rating is from other lawyers and judges in the area. At the time Mr. Veralrud initially received his "A" rating, he was the youngest lawyer in the area to achieve it. An "A" rating is held by less than 5% of practicing attorneys in the area.